Astronomers have assembled compelling evidence for the existence of a monster moon orbiting a planet 76 trillion kilometers away in the constellation of Cygnus, Alex Teachey and Prof. David Kipping of Columbia University say in their paper published Tuesday in Science Advances. The exomoon and the exoplanet it orbits are gas giants, not rocky bodies, the scientists suggest, which would have implications for our understanding of how moons develop. An exoplanet is any planet beyond our solar system. Exoplanets are too distant and dark to be observed with existing technology, but their existence can be inferred based on the disturbance they cause to their cosmic environment. One method to detect exoplanets, called transit photometry, is when something blocks a star’s light as we see it, at regular intervals. Stars do not blink on their own volition. An orbiting body passing between the star and the Earth could dim the starlight periodically. In this case, astronomers looking through the Hubble and Kepler space-based telescopes observed anomalies in radiation from the star Kepler-1625: “little deviations and wobbles” in the light curve that caught their attention, explains Kipping, an assistant professor of astronomy at Columbia. The two believe their observations can be explained by an exomoon orbiting Kepler-1625b (which orbits the star called Kepler-1625). The unnamed exomoon and the planet it orbits cannot of course be spotted per se. The twain are about 8,000 light years away (not half that distance, as previously thought). 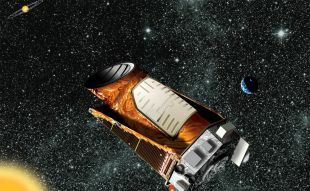 Science is confident that the exoplanet exists, Teachey tells Haaretz, but further observation will be necessary to prove the exomoon’s existence. The exoplanet itself is about the size of Jupiter, though ultimately denser, the team estimates. Unlike the Earth, for instance, gas giants such as Jupiter are believed not to have a solid, clearly defined surface. They may have solid cores because of pressure, but otherwise, they are nothing but atmosphere that gradually thickens toward the core. As for the moon, the evidence indicates that in the terms of our solar system, it's a Godzilla, as big as Neptune, apparently. The postulated exomoon was actually detected in late 2017 from data on 284 exoplanets. 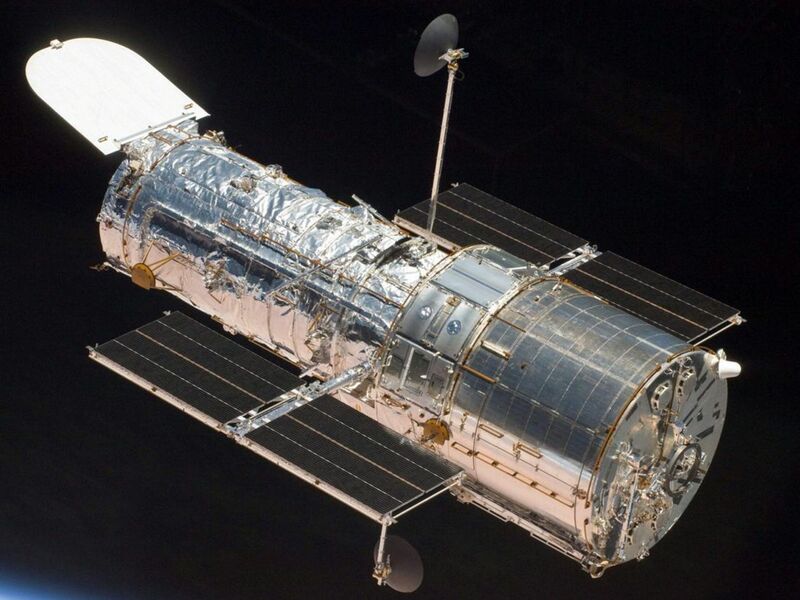 The anomalies were startling enough to get 40 more hours of precious Hubble time to watch Kepler-1625 more intensively. After analysis of all the Hubble and the Kepler data on the light anomaly and transit timing and duration variations – they concluded that there was something in the system gravitationally tugging on Kepler-1625b, Teachey explains. The light anomalies were consistent with “a moon trailing the planet like a dog following its owner on a leash,” Kipping says. Or, another planet could plausibly exist and cause the gravitational timing effects, if not the anomalies in luminance. “By itself, another planet would be a simpler explanation for the timing effects,” Teachey says – and brightness dips could be the star burping, a glitch in the telescope, the cat god passing through the universe, who knows. The ratio of the exoplanet-exomoon masses is reminiscent of the Earth-Moon system, and Pluto and its moon Charon, too. But a mouse is the same size as a plum tomato, and they’re very different. Having landed on it, we are clear that Earth’s moon is made of rock, not gas. Many think our moon (and Charon) were created by some celestial object colliding with Earth (or Pluto) and blasting rock into space, which later coalesced. Gravity again. “Kepler-1625b and its satellite, however, are gaseous, not rocky, and therefore such a collision may not lead to the condensation of a satellite,” the scientists say, dismissing that possibility. What may remains anybody’s speculation. But if it’s that far off and we can’t even prove it exists, how do we know this putative exomoon is made of gas? Previous studies on thousands of exoplanets have shown these worlds turn out to follow a pretty clean mass-radius relationship, Teachey said, citing work by Kipping with grad student Jingjing Chen. “Exoworlds can be divided into roughly three regimes: rocky worlds, Neptunians, and Jovians. So at the cusps of these regimes there’s some uncertainty, but in general you can be fairly certain about the object’s density (if not the details of its composition) if you know its size,” Teachey said. OK. So, is there life there on the 1625 objects? We don’t know, but based on parameters we do know: No, there isn’t. Evocatively, the exoplanet and its exomoon lie within the star’s so-called habitable zone, so liquid water could exist on the surface. But it probably doesn’t because they’re both made of gas. Of course, there could be a life-form we cannot recognize. In fact, there could be life-forms among us that are, for instance, made of dark matter, and we wouldn’t even know. And they might be as oblivious of us as we are of them.